Fred Hahn discusses the research behind improving your child's fitness with strength training. The information was clear an easy to read, and while Hahn provides much supporting data for the benefits of strength training, his other claims lacked any citation, which I find appalling and irresponsible. If you are going to claim that cancer risk can be reduced by x% by drinking 5 glasses of water a day, you better show me the study that supports your claim!Also, in the nutrition section, Hahn discusses why grains and other carbs should be limited, but 2/3 of the recipes in the back contain wheat. Three stars for a decent book with some big flaws. 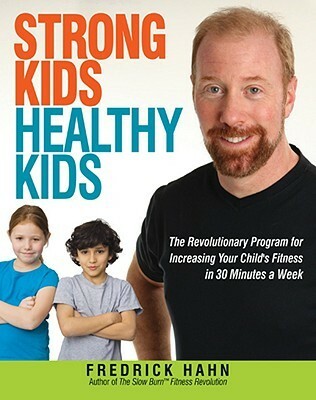 My kids will be the strongest on the block! (ha, ha) I'm excited to see if this will help my kids in sports. Sounds effective and healthy.